uPVC is a resistant form of plastic that is perfect for creating durable, reliable windows and doors. So if you’re looking for a more sustainable solution for your home, uPVC could be the best options for your window frames and external doors. At Emperor Roofing, we have an extensive team of experts who have been collectively serving the region for over 20 years, working across the whole of Tyne and Wear. So if you currently live in Newcastle, Gateshead, Blaydon, Washington, Sunderland, Chester-le-Street, Durham, Middlesbrough or any of the surrounding areas, we can fit your uPVC windows and doors. 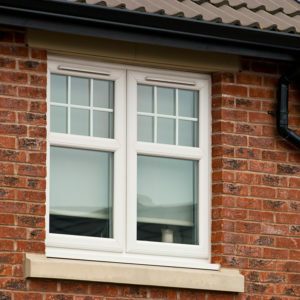 Why Choose Our uPVC Windows and Doors Service? 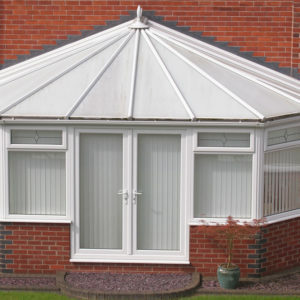 There are a huge number of reasons to opt for a flat roof – they are long-lasting, easy to maintain and cost-effective. Most importantly, they afford your home with protection from any weather conditions. Why choose Emperor Roofing to install your UPVC windows and doors? 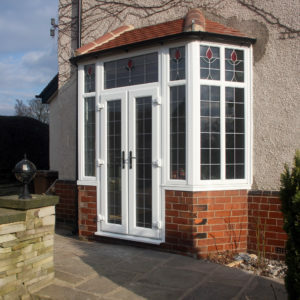 uPVC windows and doors are incredibly durable and long-lasting and can look attractive too. They have great heat conserving properties and are far more reliable in adverse weather than regular window and door frame alternatives. uPVC windows and doors require very little upkeep. Any marks or stains can be simply wiped away, however be careful not to use unsuitable chemicals as these can lead to discolouration. 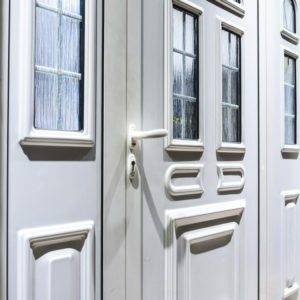 Unlike traditional timber doors, panels and window frames, uPVC will not display any signs of weather damage or rotting, and so does not require frequent replacement. uPVC windows and doors tend to look more modern than traditional fittings. The material creates a clean, polished look that can brighten the external appearance of your home, so long as it is looked after correctly and not treated with unsuitable chemicals. Having uPVC windows and doors installed can save you money in the longer term as they are an energy-efficient solution, working to insulate and keep heat inside of your home and eradicate any drafts. The robust nature of uPVC windows and doors enhances the security of your home, preventing your home from becoming susceptible to break-ins. The strong material also performs well under any weather conditions to ensure your home is protected. uPVC tends to cost less than timber and aluminium, without sacrificing on the amount of benefits it can provide to your home. Costs vary depending on the styles, quality, feature and space where the product will be fitted but you can rest assured that this is an affordable and yet very reliable solutions. We can provide you with a free, no obligation quote today. Where can I have uPVC windows and doors? uPVC windows and doors can be installed anywhere on the exterior of your home. Whether you wish to replace existing ones, move the placement or create new windows and door spaces, uPVC can be a suitable solution. uPVC windows and doors can be tailored to fit the exact requirements of your home, coming in flexible sizing options. Carrying out an extensive portfolio of work for many highly satisfied customers all over the North East, we’ve got proven results in installing uPVC windows and doors on a variety of residential and commercial properties. If you’d like some reassurance, just head to our Check-a-Trade and MyBuilder pages to see our excellent ratings for yourself. There are thousands of untold benefits to contracting an expert to install your uPVC windows and doors, along with peace of mind, first-class installation and use of high-quality materials. Our team have a vast range of expertise when it comes to correctly installing uPVC windows and doors. Give us a call today to arrange a comprehensive consultation free of charge where we can provide you with a no-obligation, full quote. Not only will we advise on the costs, we’ll also keep you in the loop throughout the consultation, giving you tips on what to look out for and answer any questions you might have. Our North East roofing, windows and doors specialists provide the highest level of service throughout, keeping you up to date on the progress of the installation and ensuring you’re happy with everything. Our initial quotes are completely free, so get in touch with our expert contractors by simply entering your details in the contact form below. We promise a dedicated team of specialists that will handle your window and/or door installation seamlessly, tailoring the service specifically to your property for the best possible results. Do I need to switch to uPVC windows and doors?